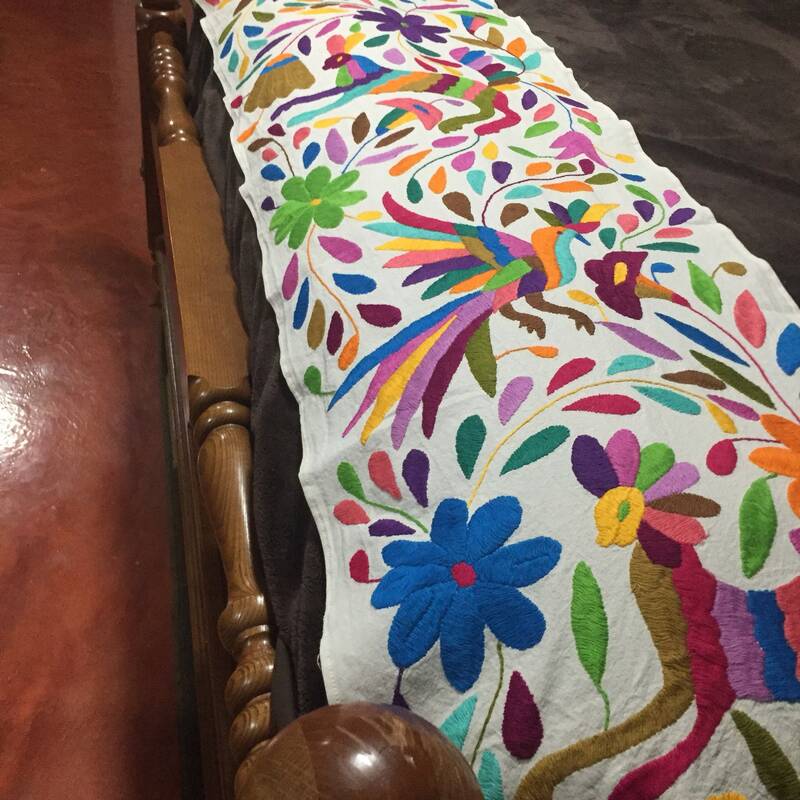 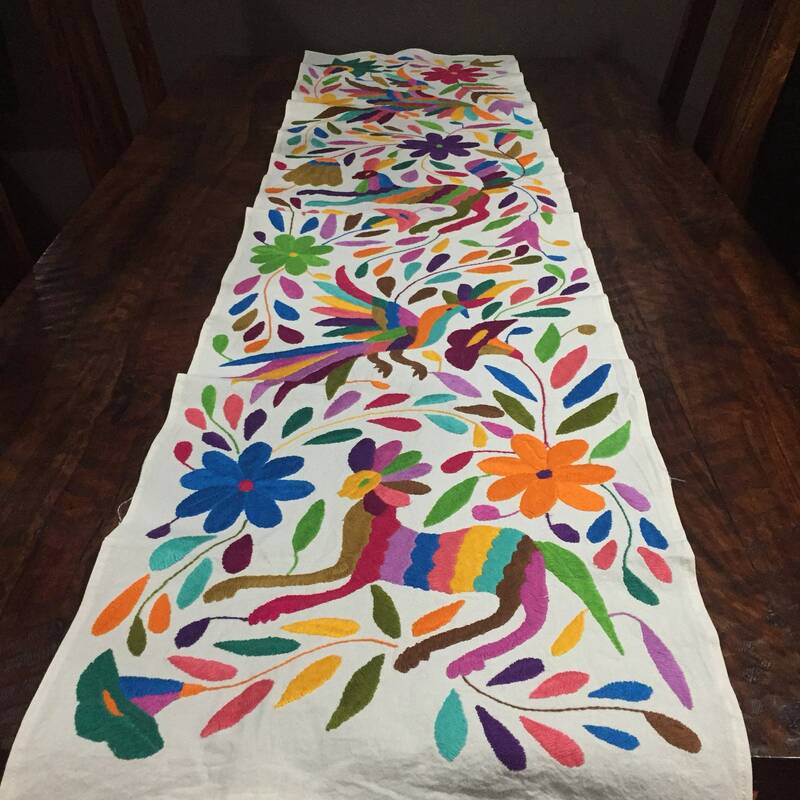 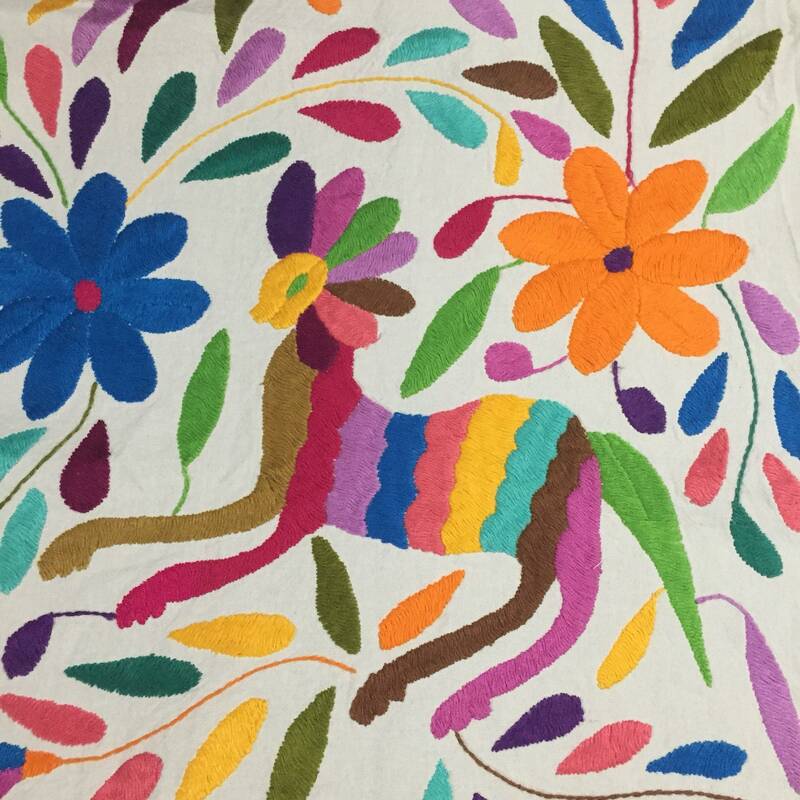 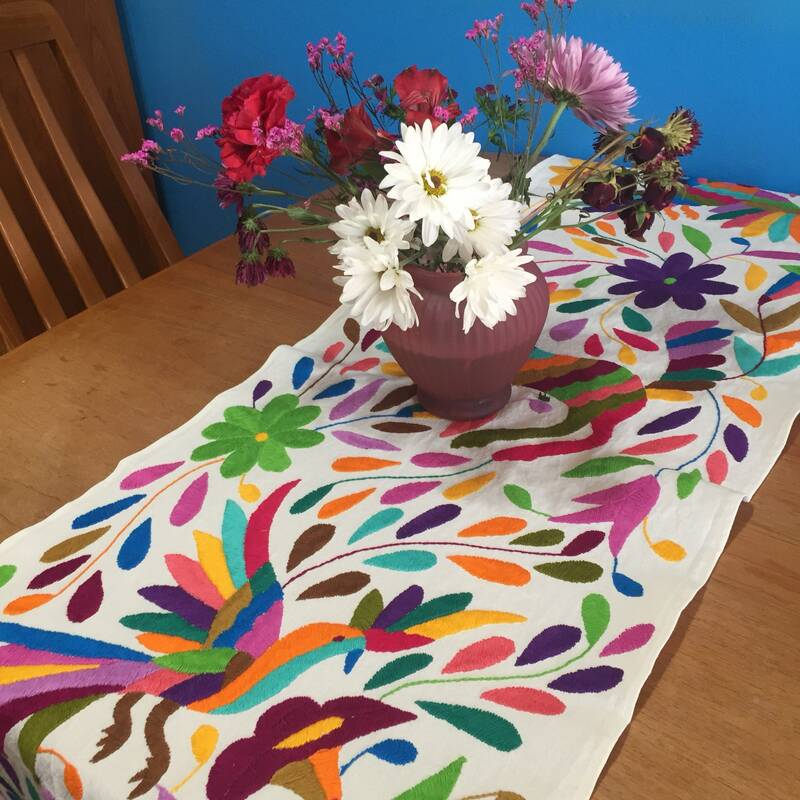 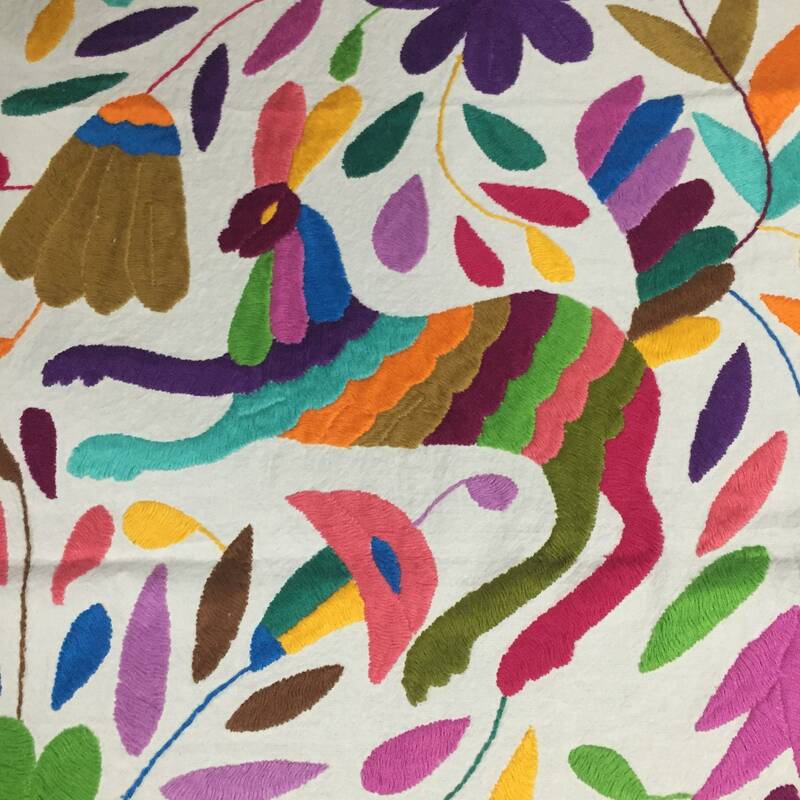 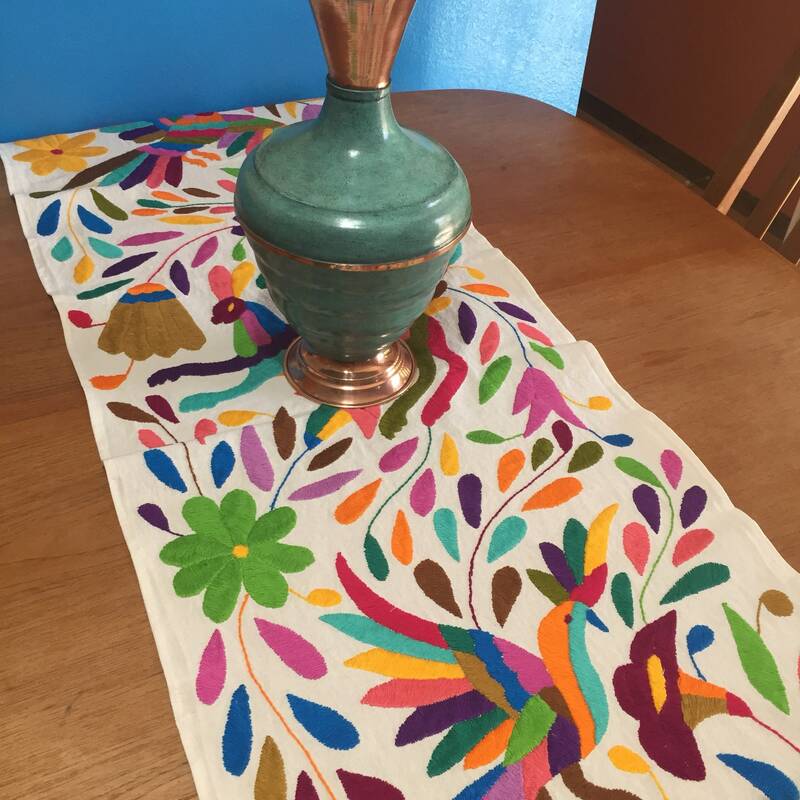 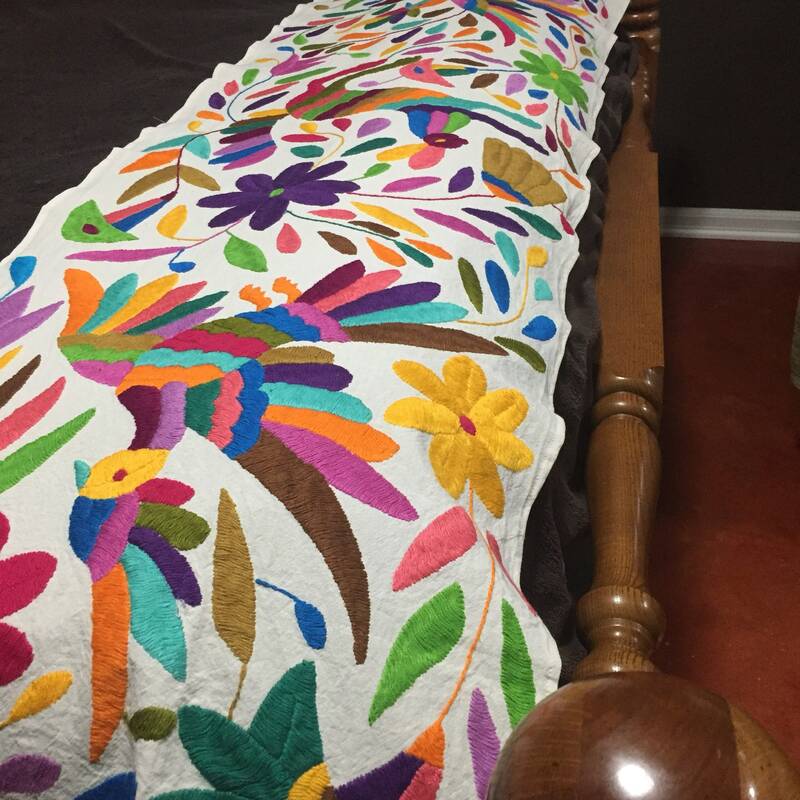 Exquisitely hand embroidered Otomi fabric handmade in Hidalgo, Mexico. 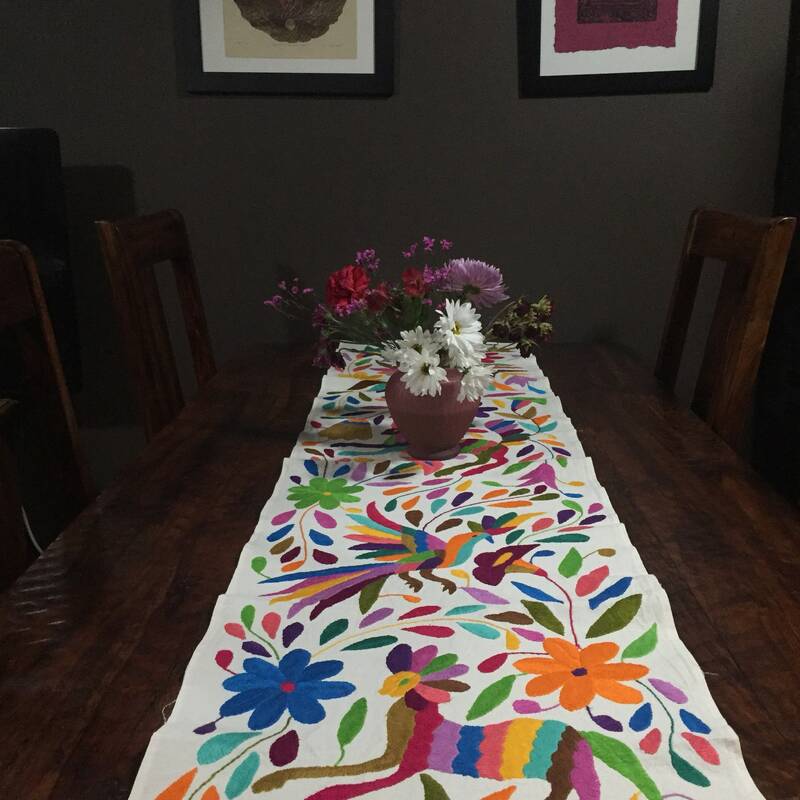 We have all sizes available including 6'x6' tablecloths/bedspreads, placemats, coasters, pillow covers, and table runners. 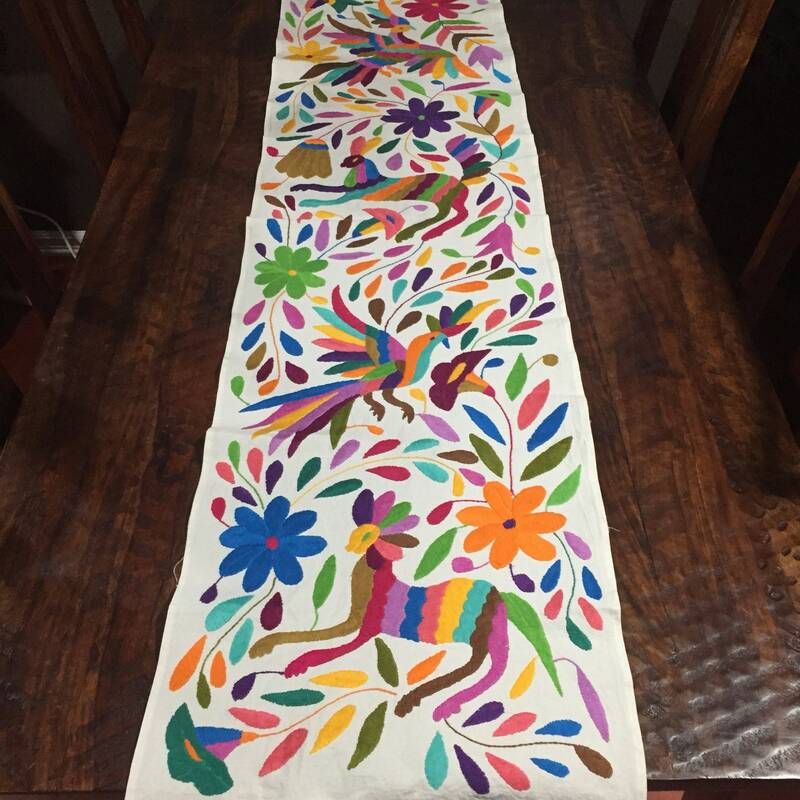 They can also be hung as a wall hanging. 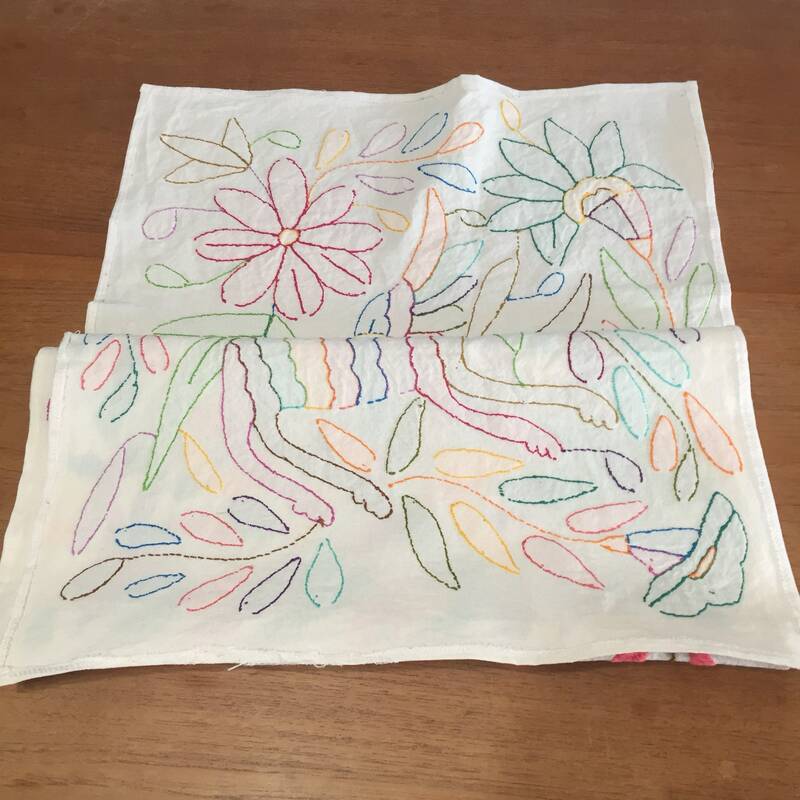 They are hand embroidered on off-white muslin material.